How well does your practice protect its patients’ information? It’s an important question, and one too few physicians ask themselves. Too often, sensitive patient information (like a credit card and social security number) is simply left lying in the office. How do I know?—because I’ve seen it. In fact, I remember one instance where a crooked office administrator was earning a pretty-penny on the side by selling patients’ information to identify thefts—the private patient information was all too easy to access. In this episode, I interview Tom Cooley, founder of Go CardConnect. CardConnect is a secure payment platform that encrypts client credit card data from the moment it leaves the reader—which means no sensitive data is left unprotected on office computers. The unfortunate reality is this—we live in a world where hacking and stealing private data is a constant threat. As the owner of a medical practice, you can held liable if the court finds your office negligent in a case of identity theft. So, if you’re concerned about protecting your clients and yourself, this is the episode for you. I want physicians to become masters of more than medicine—I want them to become masters of every element of their practice. That means understanding risk and security. Listen as we break down the most common security threats that medical offices face, and exactly how CardConnect can make your practice more secure. As I use CardConnect to handle all my payment plans, I’ll also be sharing some personal anecdotes from my experience with this technology, including how I store patient data on an automated, encrypted form, which means I only have to request payment once even when a patient is on a monthly payment plan. 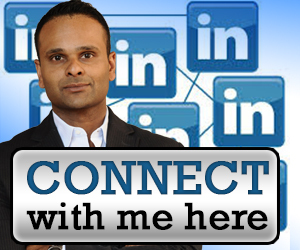 It’s an amazing function, and one that’s allowed me to grow my revenue stream. What systems am I using right now to protect my patients’ data? How much do I risk by not protecting data? How difficult would it be to transition from my old payment system to a new, secure one? 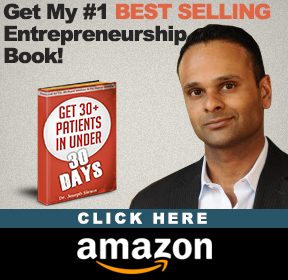 Am I interested in setting up long-term payment plans with patients? Have those questions answered?—great. Now you’re ready to listen to me quiz Tom about CardConnect and the value it brings to medical practices. 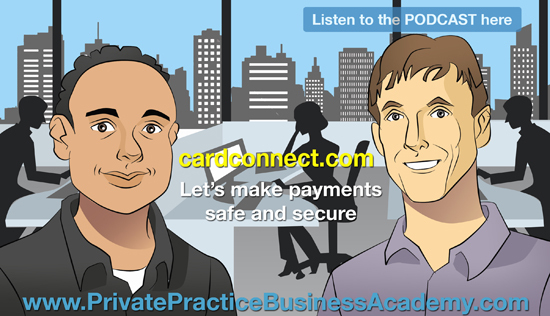 10:50 – Why is it so important to protect patients’ credit information? 19:45 – With an EMR system, credit card information is stored on a computer’s Notepad. 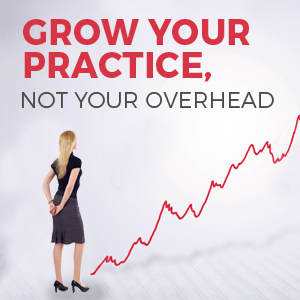 CardConnect is different because data doesn’t enter the practice’s computers. 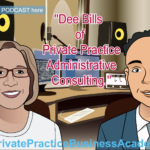 22:00 – Why is it relevant to practice owners?